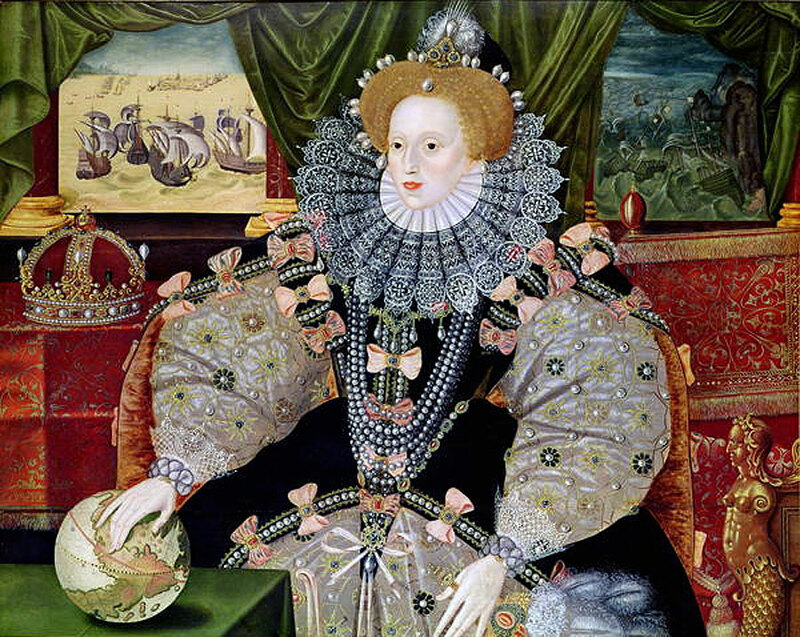 This is the second chapter of a series about how the Sonnets identify Elizabeth I of England as the so-called Dark Lady, who is “dark” or “black” only because of her negative imperial attitude and actions: “In nothing art thou black save in thy deeds,” he tells her in Sonnet 131. “England ne’er had a king until his time. If William of Stratford is the author, he cannot be addressing the Queen in these private, personal sonnets — to understate it. His use of royal language would necessarily be metaphorical. Oxford, however, is a high-ranking nobleman at the royal court, accustomed to speaking directly with her Majesty, and therefore he cannot be using such language when addressing any female but the Queen. For this proud Earl, so keenly attuned to the meaning and power of words, to suggest that any woman other than her Majesty might “command” him would be unthinkable. The bottom line is that if Oxford is Shakespeare the Dark Lady can only be Elizabeth Tudor, his sovereign mistress. “Ever the same” in Sonnet 76 is how Queen Elizabeth translated her motto. “Marigold” in Sonnet 25 is her Majesty’s flower. “Commanded by the motion of thine eyes” in Sonnet 149, if from Oxford’s pen, must be to the Queen. Am of my self all tyrant for thy sake? On whom frown’st* thou that I do fawn upon? Frown’st recalls how, in Sonnet 25, even those “favorites” of “Great Princes” can be plunged into disgrace and ruin by the sudden loss of their favor, “For at a frown they in their glory die” — another reason why Sonnet 149 can be addressed by Oxford only to the Queen. In these lines he is saying his “love” or loyalty to her is so great that he supports her even when it means to “partake” with her “against my self.” Such is the bitter end of the entire Dark Lady series, in the final line of Sonnet 152, when he accuses her of forcing him to “swear against the truth so foul a lie” — the truth being his own motto and identity, which he has betrayed because of her. He has become “all tyrant” for her sake, a traitor to himself, by joining her in failing to tell the truth about Southampton, their unacknowledged royal son, who remains in prison so long as she lives and will not succeed her on the throne.